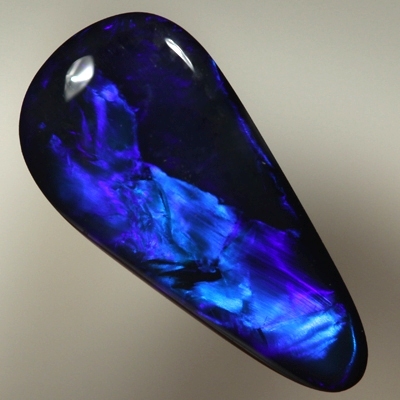 Electric blue moves in large rolling flashes over the face of the opal. The colours are bright and rich. In low light the opal shows a deep blue glow.